Last week, I tried to make a lasagna for dinner with no-bake lasagna noodles. In the time it took me to layer the sauce, cheese filling, and noodles, all hell broke loose. My baby cried. My 3-year-old ate two cookies. My crying baby stopped crying long enough to stuff a cookie in her mouth. What was my 5-year-old doing? Who knows! “This is why I don’t cook!” I screamed out loud (or at least in my head). I love to cook, but truth is that I’ve done very little of it since my third daughter was born last year. I’ve settled into a routine of prepping simple meals on the weekend and freezing them for the week ahead. My freezer cooking system works like this: I chop the vegetables and add them to a gallon-sized plastic freezer bag with sauces, spices, and meat. Freezer meals last up to three months in a standard freezer, so if I assemble 5-7 per week my freezer stays stocked and I don’t have to cook at all! Your homemade freezer meals will cook for the first time out of the freezer and won’t taste like leftovers at all. Wahoo! You can take advantage of sales and bulk purchases and stock your freezer. You’ll have healthy, homemade meals ready for busy weeknights. 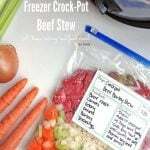 To get you started today, here’s a recipe for freezer crockpot beef stew that I adapted from Kristin’s recipe. It’s so delicious that I’ve already made it several times for my family and friends. You won’t believe how easy it is to prepare this healthy meal. Ditch the no-bake lasagna noodles and make this freezer crockpot beef stew for your family instead! 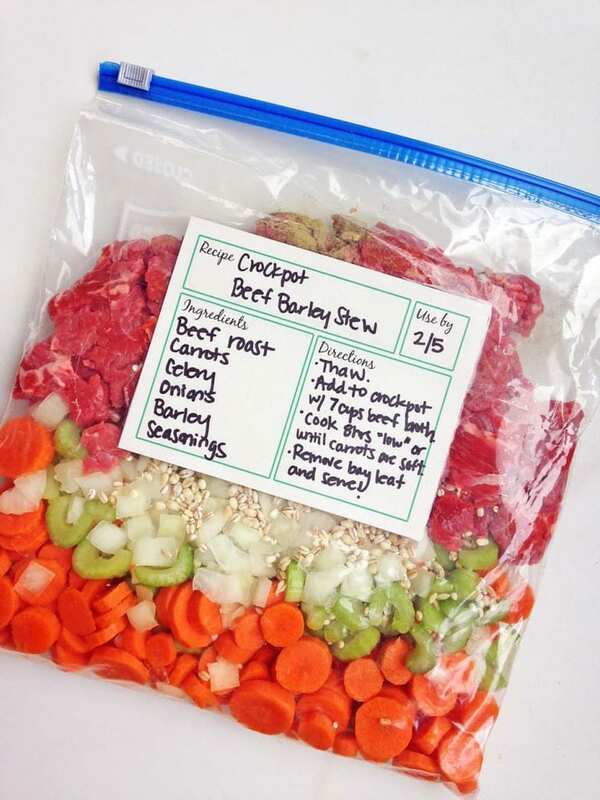 Label your freezer bag with the name of the recipe, cooking instructions, and "use-by" date. Combine all ingredients (except beef broth) in a gallon-sized plastic freezer bag, adding the beef to the bag last so it's the first ingredient poured into the crockpot. When ready to eat, thaw overnight in the refrigerator or in a bowl of cold water. Add to crockpot with beef broth and cook on "low" setting for 8 hours or until carrots are soft. Remove the bay leaf and enjoy! 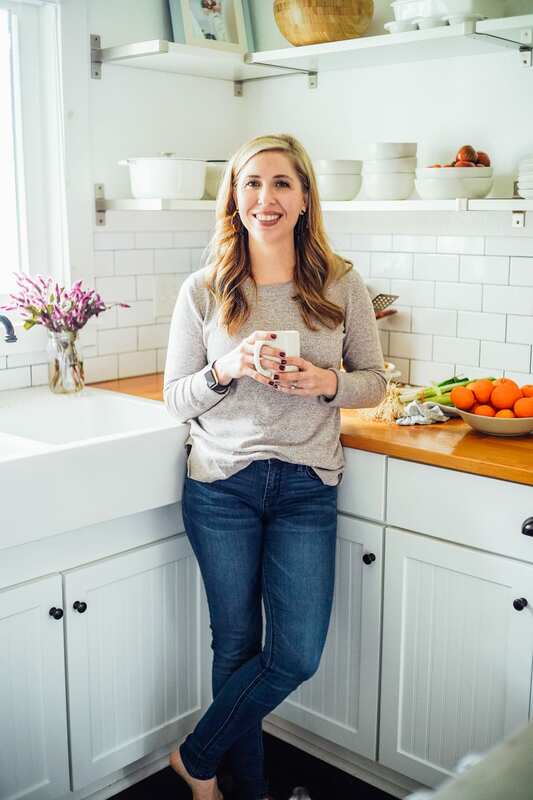 A note from Kristin: I highly recommend stopping by Kelly’s blog where you’ll find many more freezer meals, plus her freezer cookbook. Looks great! So the vegetables don’t thaw into a mushy mess? Hey Kim, Thankfully they don’t :). Some veggies are more suited for freezing than others. Nope! Fresh freezer meals are amazing, and this is a great recipe from Kristin! Thank you for the kind words, Kristin! Do you rinse the barley? I’ve heard barley can be very dirty and should be rinsed till clean. No, but I buy it in a box at the grocery store. It’s always very clean. Will other barleys work or just pearled? Hey Kate, I believe other barleys will work since they are slow cooked. Did you have a specific one in mind? I’m looking forward to trying this one! Hey Joann, It’s one of my favorite recipes on the blog! Enjoy!! Hi! How many does this serve? Thanks in advance! Hey Jaclyn, It will serve 4 people, comfortably. Possibly six when served with a side (bread or salad, for example). Can you freeze cut up potatoes with this. Hey Stephanie, I’m not sure about potatoes. I wonder if they would change color (turn brown), but since they will be cooked in a stew, that’s probably okay. It’s worth a try! can you cook it on high? ABout how long? Hey Rebecca, I believe so. I would try 6 hours. I don’t know why, but this recipe was very bland tasting to everyone in my family. I couldn’t get my 7 year old daughter to eat more than one bite. I wanted to love this one so much, but even with the seasonings and the meat stewing in there all day, it tasted very bland. Hey Bianca, Oh no, I’m sorry to hear your stew was so bland. The fresh herbs and beef broth should have added a really good flavor and aroma. Agreed, very bland. I won’t make this again. Hey Alison, Thank you for the feedback. Do you feel the stew needed more herbs or salt? Hey Lauren, Yes, this soup is “brothy.” You could reduce the broth by 1-2 cups and it should still be okay. Hey Gwen, They freeze very well! I also freeze these veggies for making broth without any issue. 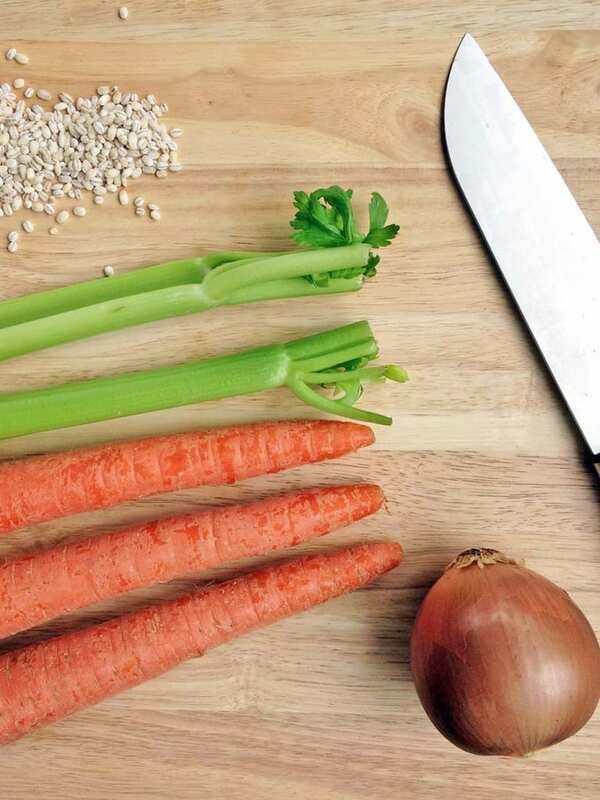 Barley does some “weird things” to my stomach and my husband has asked me (politely) to not eat it anymore – 🙂 Do you think brown rice added later in the cooking process would still accomplish the flavors for this dish? Hey Jennifer, Rice is a great idea! Your method (adding it later in the cooking process) is the way to go. You say you assemble 5-7 freezer meals on the weekend, this is one of them..what are the other? Can you please give examples, as I do not seem to find more freezer meals on your blog, but I am new here. Thanks. 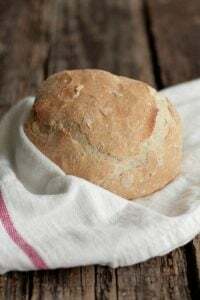 Hey Patricia, This recipe was shared by Kelly from New Leaf Wellness. She’s the queen of freezer cooking. You’ll find lots of recipes on her site: http://newleafwellness.biz/. the link for the recipe labels doesn’t work. Can you add those back on the site? Also looking for a new link for the recipe labels! 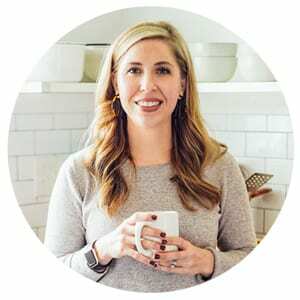 Hey Amy, Here’s the link from New Leaf Wellness: http://newleafwellness.biz/2015/08/24/free-freezer-labels-that-you-can-edit-save-and-print/. Looks great! I’m doing some pretty precise meal planning and didn’t notice a “number of servings”? How many servings is this? Hey Lauren, I believe this will serve 4-6 servings. Sorry, I don’t have an exact serving size on this particular recipe. Can you cook the dish then freeze it? Kristin, here is a complicated question I’m sure you have a simple answer for. personal meal prep. About 6 months ago, I got a slow cooker (HB 6 qt. programmable). 2 of the bowls (lunch, dinner). these frozen single servings, so I could just grab one, thaw overnight, empty into one Pyrex bowl, microwave and eat. Please let me know if you have a system that would manage the individual cooked, then frozen meal packaging. Hi Andy, I love that you’re using your slow-cooker to prepare freezer meals. It sounds like you have a great system in place. I just recently discovered the Meal Prep Haven Containers: https://www.amazon.com/Meal-Prep-Haven-Stackable-Containers/dp/B0111AMA46z. I haven’t personally used them, yet, but they look like a great way to freeze and reheat meals. I hope that answers your question! I will do some research on these to check out the service capabilities and per use cost. On completion I will send you a report that may help others in handling this problem. Preparing meals for a single person is a bigger challenge than family dinners. This type of storage may eliminate the necessity to produce only broth based dinners. If I can prepare a meal for 4-6 people and break it down into multiple containers, I can put up regular meals. Thank you for the reference. My current system is great, but the storage medium I have been using limits creativity and produces an ultimately boring daily choice. Hey Andy, Thank you for updating the link–I’ll be sure to do this in the comment. I apologize for the dead link. Yes, let me know how they work, or if you find something else. I know a couple of single food blogger friends who use the meal prep containers and rave about them. They are reusable, so hopefully that cuts down on the cost. I have used these for my freezer meals and they work great in the freezer (up to 3 months.) Thanks for your encouragement to make these meals, it has made my life so much calmer! LIFT Certified BPA-Free Reusable Microwavable Meal Prep Containers with Lids, 28-Ounce, 7 Pack (Includes Ebook) from Amazon – $10.97. Whoops, forgot to show what I used. LOL! This was delicious! My husband loved it too! I was worried 7 cups of broth was gonna make this way too much like a soup but it really was perfect. Awesome flavor, the meat could be cut with a spoon. Nice warm filling dinner for a cold December night. Loved being able to freeze this ahead of time and just pull out the day before to defrost and then let the crockpot do all the work. Put a bag together for my sister and her husband too since they just had a baby. That’s so great to hear, Toots! I love that you made a bag for your sister, too. Congrats on her new bundle of joy. Hey Jessica, This will make about 4-6 servings. Not trying to be negative, but I just wanted to share that I felt this also was a bit bland. I am reading other recipes online now trying to salvage the stew. I am going to add tomato paste and worchestershire sauce in hopes of adding some better flavor. It was so nice this morning to plop the thawed bag into the crock pot, but now I regret not browning my meat and then my veggies. I think that adds a lot of needed flavor. I was hopeful to start freezing more meals, but I think I will freeze cooked meals instead and reheat to ensure I get better overall flavor. I just wanted to comment so if others are also interested, that they might be able to tweak this to their liking. Hey Faith, Not at all :). I truly appreciate the feedback on the recipe. I’ve found that not searing meat and veggies before adding them to the crock-pot can result in less flavor (that step does build some of the flavor in slow cooked meals). I think you have a good plan! Best tasting stew I’ve had!! Full of flavor!! Is it possible to do this is the instant pot? I know therecipe states that the broth is supposed to be separate, not frozen with everything else. But really, CAN we add the liquid and freeze it with the rest? Hey Lynn, I’m sorry you didn’t like and it wasn’t for you. The recipe instructions are clear about the temp and setting: #5. 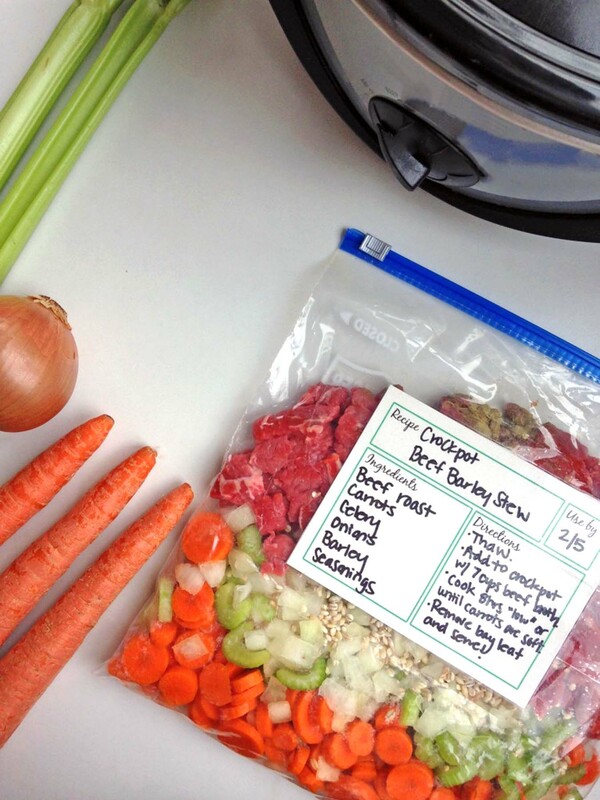 “Add to crockpot with beef broth and cook on “low” setting for 8 hours or until carrots are soft.” This stew is created to be more soupy than a thick stew. Yes, i apologize about the setting, i saw that after the fact and wanted to amend the review. Made this a few weeks ago so was trying to remember the details. My husband did correct me, he said we had slow cooker on at least 8 hours. But honestly it was much more watery than a soup. Flavor not appetizing. I know others had success with it. Not sure why we did not.